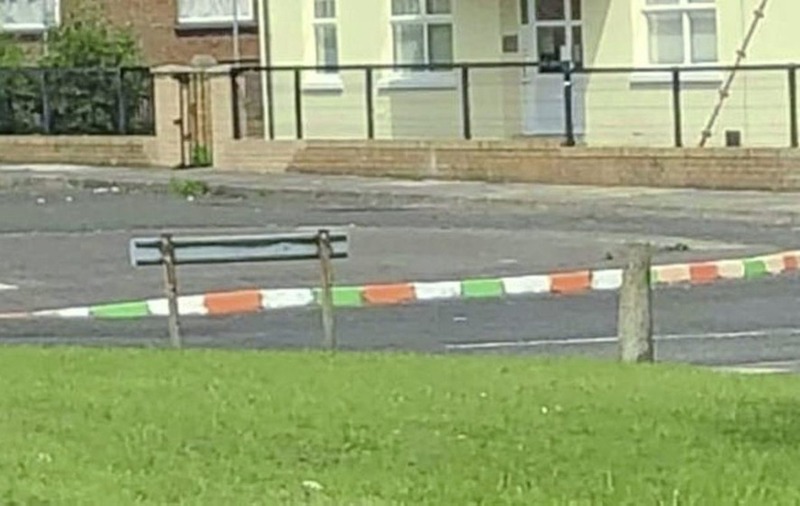 THE PSNI has explained why the kerbstones painted green, white and orange in a Co Derry town is being treated as a "sectarian hate crime". 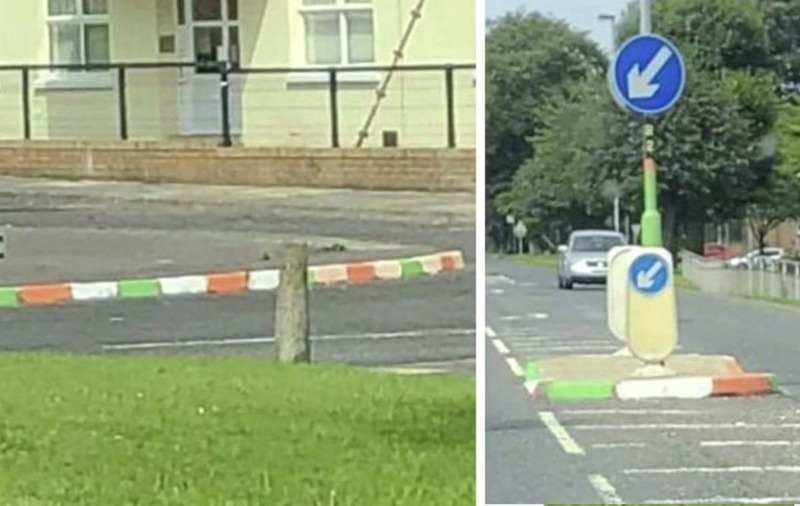 Kerbs and a wall in Limavady were daubed at the weekend in green, white and orange, amid concerns over rising community tensions. Graffiti saying 'IRA' was also sprayed on a road sign and tricolours were put up on Ballyquin Road. Loyalist paramilitary flags have also been erected on lampposts and last week sectarian graffiti was daubed on St Mary's Catholic Church. 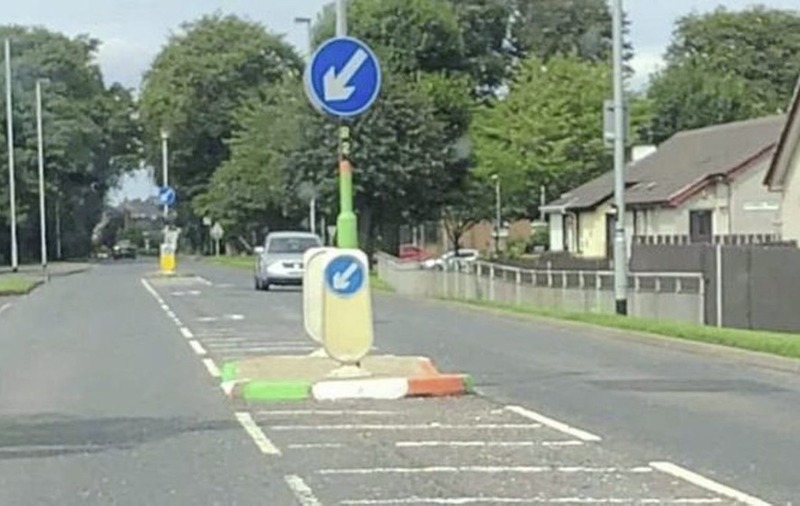 PSNI chief inspector Mark McClarence on Tuesday said the painted kerbs and the IRA graffiti were being treated as a hate crime, and appealed for anyone with information to come forward. 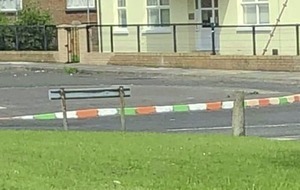 Although many kerbs across the north are painted in the hues of the tricolour or union flag, it is unusual for them to be described as a sectarian hate crime. Asked why the kerbs were being treated as a hate crime, a police spokesman said: "This was perceived to be a hate crime by the reporting person and is therefore being investigated by police as a hate crime." In police investigations, crimes are categorised as having a hate motivation based on the perception of the victim or complainant. 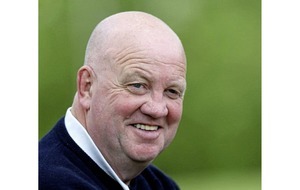 According to the PSNI website, hate crime is defined as "any criminal offence which is perceived, by the victim or any other person, to be motivated by hostility or prejudice towards someone based on a personal characteristic". It says that within the PSNI there are six strands of hate motivation that are monitored: race; homophobia (sexual orientation); sectarianism; faith/religion (non-sectarian); disability; and transphobia. If an alleged hate crime is later referred to prosecutors, they will decide whether the hate element is capable of being proven in court beyond reasonable doubt. Under the Roads (NI) Order 1993, anyone caught painting kerbstones can be fined up £500. It is an offence to paint on a road unless you have lawful authority under article 87 of that piece of legislation. 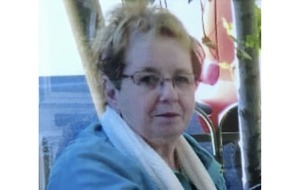 Other possible charges include criminal damage and behaviour likely to cause a breach of the peace. While police rarely pursue such cases, Stormont's infrastructure department has the "discretionary power" to remove items and "where the party responsible for the items can be clearly identified, Transport NI will ask that items are removed". Both unionists and nationalist politicians in Limavady have hit out at the painting of the kerbstones. 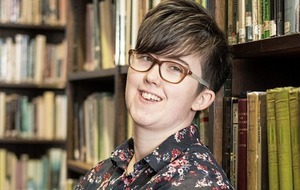 Sinn Féin MLA Caoimhe Archibald said her party has "consistently stated that kerbs and flags should not be used to mark territory", while SDLP councillor John Deighan branded it "sectarian and intimidatory". DUP councillor Aaron Callan said the hate crime element may refer more to the 'IRA' graffiti, but said the painting of the kerbstones "is not welcome by anybody". "It's trying to mark territory and it's wrong, full stop," the Causeway Coast and Glens councillor said.